Dr. Veronica Devall's practice is based in Calgary, Alberta. Specialized services include acupuncture, animal chiropractic, postural rehabilitation and low level therapeutic laser. Veterinary Rehabilitation embraces a range of advanced therapies available for the restoration of physical function and condition in dogs and cats that have undergone surgery, experienced injury or suffered debilitating disease. Immobilization and disuse have been shown to be associated with increased pain, more prolonged recoveries and higher frequencies of re-injury after normal activities are resumed. Advanced Veterinary treatment in Rehabilitation strives to restore the ability of an animal to engage in the normal activities of daily life. My name is Veronica Devall and I am a veterinarian specializing in integrative rehabilitation and pain management. I treat the injured, aged and chronically debilitated canine companions, athletes and working heroes. Don’t worry I would never forget the feline masters. Incorporating healing practices such as whole nutrition, herbal formulas, acupuncture, chiropractic, laser and physical therapy, I help our animal friends have fuller, vital, more mobile, pain free lives. It's incredible the advances in veterinary medicine in the last 20 years. We can do some amazing things for our fur friends that are unheard of before this time. But still so much pain exists; so many debilitating diseases still exist. Imagine if our animal companions could live pain free without chronic uses of medications and their side effects? It is my mission and life’s purpose to serve as a source to tapping into life’s vital force, blocking pathologies and pain, allowing the animal’s body its innate healing capacity to flourish. And perhaps, be an example for the 2-legged humans to take care of themselves. After all we need to be healthy for our fur kids to be healthy. I started as an emergency vet, getting my adrenaline rush from the trauma cases. After 3 years living a sleep deprived zombie life I went to locum work, which allowed me incredible adventure and the freedom to travel internationally for weeks to months at a time. This was fulfilling both professionally and personally for years but I knew there was always something more, an itch to scratch. While I was pondering what this was, life happened and 2 car accidents changed everything. It wasn’t until I was personally knocked off my feet with a back injury years into my career when I saw the power of a “different” kind of medicine. I experienced chronic pain first hand and close up. Growing up as a non-believer and a “yah, prove it to me”, somewhat stubborn individual there was no way acupuncture was going to help with the pain. No way! Well, guess what (and yes I’m sure you can guess, otherwise this story wouldn’t exist), it worked, and profoundly. The light suddenly went on and I immediately thought why am I not doing this for my patients! If this works for a doubter (placebo effect is not relevant) then it should work for my animal patients because they don’t have a bias to new treatments one way or the other (no placebo effect). From there amazing things happened with my career and it led me to holistic approaches in veterinary medicine and healing. After diving into Veterinary Acupuncture study and certification, I went on to study herbal medicine and spent the next 10 years working under the guidance of an expert in Chinese herbal veterinary medicine. I sought out Certifications in Animal Chiropractic, Canine Rehabilitation, and Veterinary Pain Management. Today I specialize in Integrative Sports Medicine and Rehabilitation and Pain management and you can find me at Aspen Animal Clinic in Calgary. One of my passionate hobbies besides travelling is the involvement in canine sports medicine. I have always been fascinated with the canine athlete. Did you know that the fastest dog, the Greyhound runs up to 40 mph, endurance sled dogs run 3 marathons a day, 10 days in a row! Incredible! 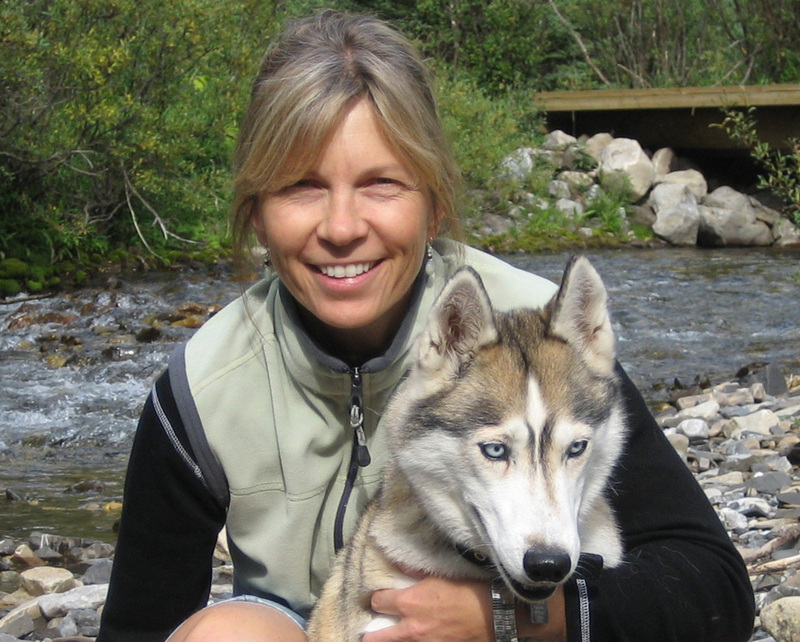 I have worked with racing sled dogs (Iditarod, Yukon Quest, Wyoming Stage Race) since the early 90s and agility, flyball and herding dogs over the last decade and I am dedicated to these athletes. I love the mountains, the forests and nature. Every chance I get I’ll head out to the Rockies but any place with mountains will do. I’ve travelled to the Khumbu region (Everest), Patagonia and Kilimanjaro. Any big rock I love! Does that include Dwayne “the rock” Johnson, maybe? Is he an animal lover? My greatest passion is my animal family. My personal trainers and activity coaches, Elim the rockstar and Ryka the clown and retired sled dog and my 3 Zen masters or just plain bad cats (Mahout, Ratti and Sidd) - depends on the day. My family keeps me grounded and intrinsically motivates me so I can give my patients the best of my abilities.